One of the difficulties of being a good friend is knowing when or if you should intervene when they are in a toxic relationship. Your normally strong and self-assured sister-friend becomes almost unrecognisable when she is with her other half, perhaps being subjected to emotional bullying, domestic violence and more. If you suspect that one of your friends is in a toxic relationship, panicking and urging them to leave will likely be ineffective and ill-received. They probably already know the relationship isn’t good for them but psychological barriers are preventing them from leaving. Here’s some advice on gentle ways you can help them, without being over-powering or causing more damage. Depending on the seriousness of the unhealthy relationship, if it’s on the lighter side of the scale, sometimes they might just need reminding of what a good time feels like. Invite them to dinner or go out to the cinema to give them some respite and show them they’re capable of having a good time without their partner. Be prepared for rejection and flakiness so gently remind them that you’d like to spend time together but don’t push them if they keep saying no. In some cases, people in toxic relationships know it themselves but feel they can’t get out. In this case, listen to what they have to say if they open up to you and don’t be scared to be frank. Repeating what they are saying back to them can help them to slowly realise that the relationship isn’t good for them. In the case of them complaining to you, listening to your advice and then going back to how they were before, calmly explain to them what they’ve done. As a best friend, you should be able to speak honestly with them but be aware that they may be oversensitive in this situation. Taking an accusatory approach in anything will not get you the result you’re looking for. If you’ve noticed your friend is in an unhealthy relationship, accusing them of it is counterproductive. It will almost certainly be met with denial and resentment towards you as it might seem like you’re blaming them for being unhappy. If you’re trying to broach the subject to help them reassess their relationship choices, start by asking open questions that will help them think about it themselves. For example, “how do you truly feel when you’re with him?” This will encourage them to talk and put words to their feelings. Even if you’re trying to use your relationship as a friendly example of how healthy relationships should be, be careful when using yourself as a comparison. Your friend in a toxic relationship is in an emotionally vulnerable place and the chances are, they already know your relationship is how relationships should be. Instead, do use your relationship as a point of relatable reference. For example, explain that you and your husband might disagree sometimes, but he doesn’t resort to violence to sort out their problems. Show them a different route to problem solving relationship arguments. Toxic relationships can often be the result of low self-esteem for both parties. The chances are, your friend is stuck in a bit of a rut whether they know it or not. It’s a well-known truth that only when you’re happy with yourself can you be happy with someone else so helping them feel good can wake them up to this. Book a spa day or an exercise class or go to the salon to get a fresh new look. Sometimes it can be an effective way of reminding them that they are enough and are deserving of so much more. There is only so much you can do for a friend who’s in a toxic relationship. No matter how many times you tell them, sometimes the message just doesn’t sink in. Depending on how serious it is, sometimes they just need time to come to the realisation on their own. 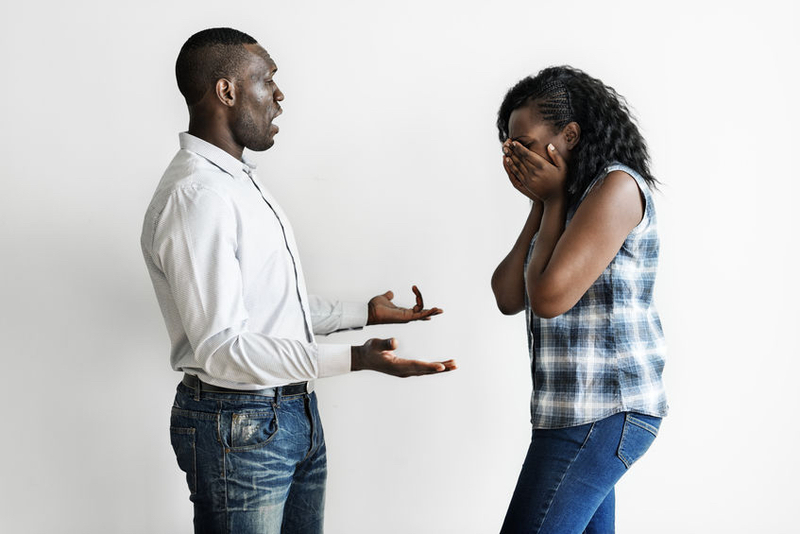 In other cases where the relationship is clearly taking its toll or violence or bullying is involved, don’t be afraid to firmly step in and help her to see reason. Although it might cause a lot of hurt at the time, removing your friend from a dangerous situation will be worth it in the long run. My friend is currently in quite a toxic relationship so this really helps, he has cheated on her countless times and has even been abusive! Yes this is a great post Joy. I have had to help friends through toxic relationships before and it is so difficult, you have to tread so carefully because often they can’t see what is in front of them… and ultimately they are in lovey! Just being there for them as much as you can is the main thing, offering advice but not judgement. Happily all my friends are now in happy relationships!